I'm sure many Amateur growers have noticed in the pots with houseplant small flies, which have a peculiar name of "clarity" or "fungus gnats". They use a soil mixture for laying larvae, which are subsequently irreparable harm to the plants, destroying their roots. So how do you cope with the flies in flower pots? 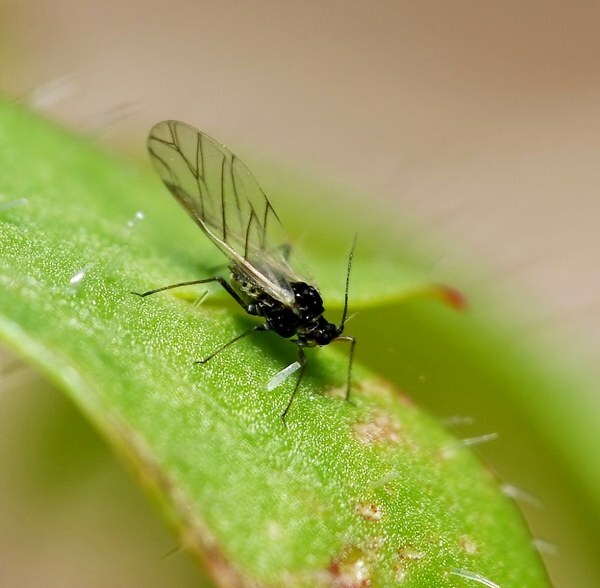 As you know, the main and most fundamental reason for the appearance of black flies in houseplants – excess soil moisture. To cope with this disease, remove the top layer of the substrate, try not to damage the roots of the flower and pour fresh. Then pour the ground with a weak solution of potassium permanganate. Always drain excess water from the tray. Dissolve twenty grams of grated soap in one liter of water. Pour the solution into container of sprayer and spray plants and soil affected by midges once a week. Regularly ventilate the room, you can also draw on the inside of the flower pot chalk from cockroaches, it will help to cope with the pesky gnats. The most effective, safe and economical way to protect flowers from bugs – the use of sulfur. To treat one room with a plant pot, you'll need just four matches. You only have to stick their heads down into the soil and lightly moisten. Change the matches every two days. Gently remove the plant from the pot and clean off the ground. Treat a pot of boiling water or soapy water, rinse with a strong solution of potassium permanganate. Thoroughly rinse the roots and plant a flower in new soil mix with drainage holes and a good layer of clay pebbles. Top soil fill with a layer of calcined sand or ash, they will create a draining effect and will not allow the soil to absorb moisture, this will prevent further development of the midges and their larvae. Purchase in a flower shop a special drug that will help to get rid of flies in a flower pot ("Akhtar" or "Thunder-2"). Dilute this chemical according to the instruction. You are only watering this tool only in case, if the larvae of the gnats are in the soil.